When Is It Time to Hire a Tutor? Is she complaining about feeling lost or unable to keep up? Does the teacher share your concern? Clair McLafferty, a veteran math tutor, says that involving the teacher in this process is a big advantage. Since the teacher directly observes your child’s daily learning, they should be able to help you identify any challenges. “Since the teacher sees the student more often [than the tutor does], they usually have a better grasp of a student’s strengths and weaknesses,” she says. Robinson believes this as well. “Teachers have plenty of insight into a student’s day-to-day performance,” she says. “They can confirm a parent’s concerns and pinpoint specific areas for improvement.” If you’re told that one-on-one help would be beneficial, you know you’re on the right track in seeking a tutor. So, let’s say that you’ve decided to get a tutor — what should you look for? Once you’ve identified a reputable service or independent tutor, preferably through a referral from someone who’s used them before, you’ll want to interview this person. A good tutor is someone who understands the material and how to communicate it in a variety of ways. This is essential because your child may need a few different explanations to find one that makes sense for him or her. Additionally, you’re going to want to know that this person will be able to communicate with you: How is she progressing? What seem to be the trouble spots? Connecting the tutor and the teacher offers a direct line of communication that’s helpful for everyone. McLafferty has found that the students who benefit most from tutoring are the ones who are ready to accept help and prepare for their sessions. “If the student is willing to put in the time to do the work to be prepared, they’ll usually see a more significant improvement in their grades than those who come to a session with no work done and no specific questions,” she says. More: Can Kids Benefit From Instability? Since tutors can’t work magic, parents can help to boost tutor effectiveness by maintaining consistency of routines and providing a reliable study environment. Kids who are well-rested, eat nutritiously and have a quiet place to work are more likely to reap the benefits of tutoring. Some families find that scheduling sessions outside the home, at a library or a coffee shop, is more beneficial; other parents like having the ability to check in on what’s happening. McLafferty also stresses that even with tutoring, continuing to take advantage of help at school is important. “If the teacher offers help, provide the resources (scheduling, rides, etc.) that they need to make it to those one-on-one sessions,” she says. 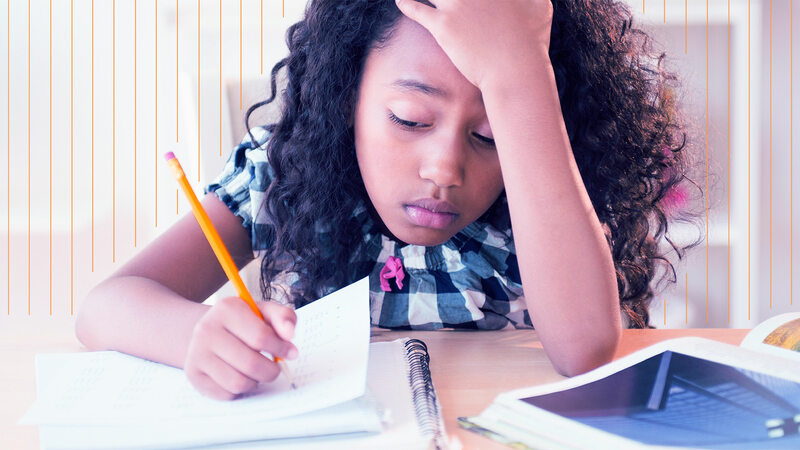 Explore alternative solutionsIf you’ve determined that your child needs support, but traditional tutoring isn’t working — or just plain doesn’t fit your budget — know that there are other resources available. A lot of high schools coordinate peer tutoring for different honor societies. Call to ask if such programs exist near you. Similarly, many public libraries offer free homework assistance during specific hours and some even do so online. Sites like Khan Academy offer free tutorials in a variety of subjects, and online services such as Varsity Tutors allow you to skip the hassle of in-person meet-ups. Tutoring isn’t always the answer. After all, maybe your kid just needs a little more encouragement or freedom — or the problem isn’t academic at all. As a parent, you’ll often be able to tell whether a bad grade is a one-time blip vs. an emerging pattern. But when some extra help is needed — or when you simply don’t know where else to turn — tutoring can be a lifesaver. As long as you make sure to choose your tutor carefully, communicate well and prepare your kid to make the most of the tutoring time, you might find that the school year just got a lot less stressful.